Access is by permit only that must be obtained in advance of entry. Bird Watching Permits are available from Melbourne Water, 89 Millers Road, Altona North, 3025 (Tel 9235 2828), during the hours 9:00 am to 4:30 pm, weekdays only (excluding Public Holidays). The fee is $20 for a two year permit. Obtaining a gate key for a deposit of $50 is highly recommended as many of the gates on access roads are locked. Note that completion of a short Induction Course run by Melbourne Water is now required to access areas north east of Little River. Melbourne Water has a Day Pass option on a once off basis for Interstate/Overseas Visitors for no charge. There is a $50 refundable key deposit. The Day Pass and key are available from the Melbourne Water Office in New Farm Road, Werribee, not the Altona Office. The issue and key return have to be completed during business hours. It is recommended that if you would like a Day Pass you contact Melbourne Water, 89 Millers Road, Altona North, 3025 (Tel 9235 2828), during the hours 9:00 am to 4:30 pm, weekdays only (excluding Public Holidays) to find out full details for obtaining the Day Pass. The site is large and a car is essential to travel around the site. The roads are a mixture of gravel roads and formed tracks. Permit holders may visit the site between 6:30 am and 9:00 pm, subject to advising Melbourne Water (Tel: 9235 2828) during business hours, prior to all visits. Facilities: Bird hide at the mouth of Little River, no other facilities (except excellent birding), NO TOILETS. Habitat: Sewage ponds, wetlands, conservation ponds, tidal flats, sandy beaches with rock outcrops projecting into Port Phillip Bay, Little River, grassed paddocks and some bush. Map: Melbourne Water issues a map to all permit holders showing the parts of the site that are accessible to birdwatchers. Other Information: Many birdwatchers consider the WTP to be the prime birdwatching site in Victoria. On a visit to the WTP, there is always the chance of seeing a rarity or vagrant. 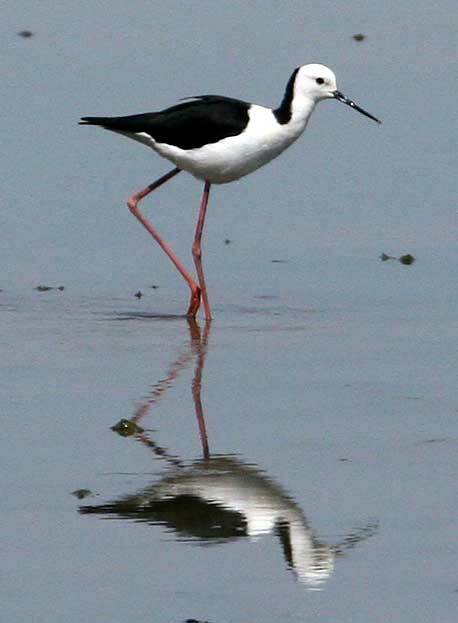 Late Spring to early Autumn is the best time for waders, but many waders overwinter. Late Autumn to early Spring is the best time for Orange-bellied Parrots. BOCA has received a disturbing email from Melbourne Water that has been forwarded to BirdLife Melbourne. Melbourne Water manages water levels at the Western Treatment Plant to provide the right habitat conditions for birds at the WTP. This includes drawing down water levels to provide shorebird habitat for a brief period over spring and to allow plant growth to promote 'duck food' when the ponds are flooded in late summer, the time of expected peak duck numbers. Unfortunately some person or persons have interferred with this water level management by removing boards holding back water levels and opening valves to let water back into ponds being drained. Melbourne Water suspects that this unauthorised activity is by birders visiting the WTP. It should be obvious to birders that there should be no tampering with Melbourne Water's water level management. THIS MEANS, LEAVE THINGS THE WAY THEY ARE. It is a privilege for birders to visit the WTP and such actions are likely to end the opportunity for birders to visit this fantastic birding site. 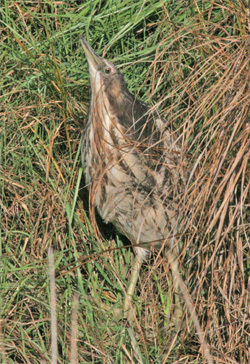 Click here to see some photos of species that have been recorded at the WTP in recent years. 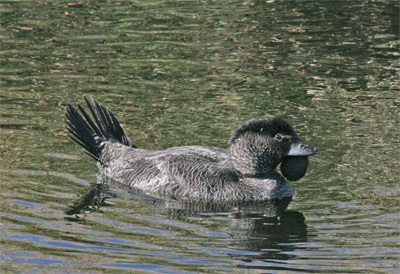 Musk Duck; Cape Barren Goose; Black Swan; Australian Shelduck; Pink-eared Duck; Australasian Shoveler; Grey Teal; Chestnut Teal; Pacific Black Duck; Hardhead; Blue-billed Duck; Hoary-headed Grebe; Spotted Dove; Crested Pigeon; Little Pied Cormorant; Great Cormorant; Little Black Cormorant; Pied Cormorant; Australian Pelican; Eastern Great Egret; White-faced Heron; Australian White Ibis; Straw-necked Ibis; Royal Spoonbill; Yellow-billed Spoonbill; Black-shouldered Kite; Whistling Kite; Swamp Harrier; Brown Falcon; Purple Swamphen; Australian Spotted Crake; Dusky Moorhen; Eurasian Coot; Australian Pied Oystercatcher; Black-winged Stilt; Red-necked Avocet; Red-capped Plover; Masked Lapwing; Black-tailed Godwit; Bar-tailed Godwit; Common Greenshank; Red-necked Stint; Sharp-tailed Sandpiper; Curlew Sandpiper; Whiskered Tern; Crested Tern; Pacific Gull; Silver Gull; Superb Fairy-wren; White-browed Scrubwren; Striated Fieldwren; Yellow-rumped Thornbill; White-plumed Honeyeater; Red Wattlebird; White-fronted Chat; Australian Magpie; Willie Wagtail; Little Raven; Magpie-lark; Eurasian Skylark; Golden-headed Cisticola; Australian Reed-Warbler; Little Grassbird; Silvereye; Welcome Swallow; Fairy Martin; Common Blackbird; Common Starling; House Sparrow; Australasian Pipit; European Goldfinch; Common Greenfinch. Northern Shoveler; Hudsonian Godwit; Little Curlew; Little Stint; Long-toed Stint; Stilt Sandpiper; Red-necked Phalarope; Oriental Pratincole; Franklin’s Gull; Eastern Grass Owl; Eastern Yellow Wagtail.